The works of Philip-Lorca diCorcia oscillate between two possible definitions of photography – from a recording system in the tradition of documentary and a system of representation in the tradition of fiction. The use of different contradictory light sources in the same picture is symptomatic of his staging of reality. In Napoli 1996 a man walking down the street in broad daylight is fictionalized by the flash of the camera. Related to the world of cinema in the case of "Hollywood" (1990-1992), fashion in the series "W" (1997-2000), and advertising, the photographer questions the representation of reality, between the utopia of transparency and necessary construction. "I try to criticize the beast I work with. This monster of whom I share my bed with is about me," the artist says. His photographs are a space alien in the world of the viewer because of the absorbance of characters. In "Mario" (1978), a man leaning in front of a refrigerator is estranged to the outside world, far from the viewer, denying his/her presence. Immobility is also a constant in the artist's work. Psychological tension and dramatical equilibrium structure his photographs like enigmas or like "moments suspended in narratives that unfold," as critic Peter Galassi suggests.Phillip-Lorca diCorcia was born in 1951 in Hartford, Connecticut, USA. The works of Philip-Lorca diCorcia oscillate between two possible definitions of photography – from a recording system in the tradition of documentary and a system of representation in the tradition of fiction. The use of different contradictory light sources in the same picture is symptomatic of his staging of reality. 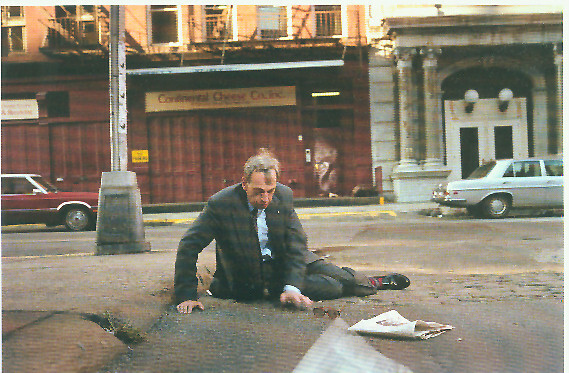 In Napoli 1996 a man walking down the street in broad daylight is fictionalized by the flash of the camera. Related to the world of cinema in the case of “Hollywood” (1990-1992), fashion in the series “W” (1997-2000), and advertising, the photographer questions the representation of reality, between the utopia of transparency and necessary construction. “I try to criticize the beast I work with. This monster of whom I share my bed with is about me,” the artist says. His photographs are a space alien in the world of the viewer because of the absorbance of characters. In “Mario” (1978), a man leaning in front of a refrigerator is estranged to the outside world, far from the viewer, denying his/her presence. Immobility is also a constant in the artist’s work. Psychological tension and dramatical equilibrium structure his photographs like enigmas or like “moments suspended in narratives that unfold,” as critic Peter Galassi suggests. 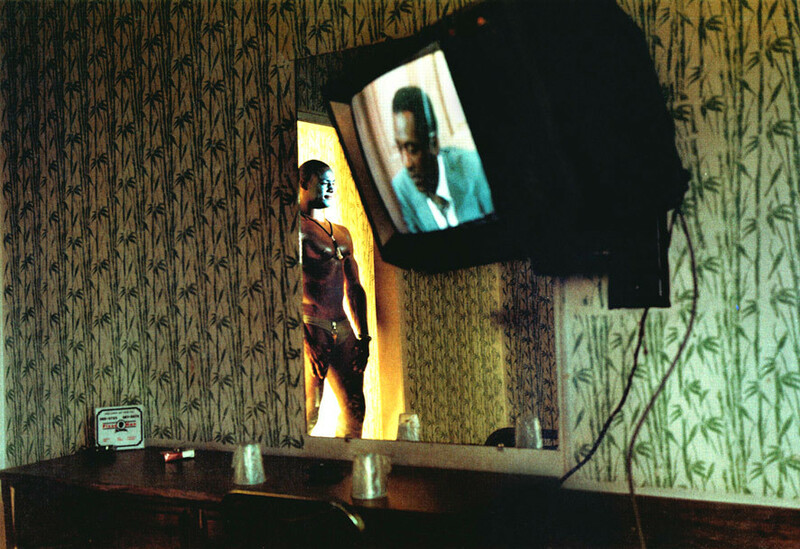 Phillip-Lorca diCorcia was born in 1951 in Hartford, Connecticut, USA.